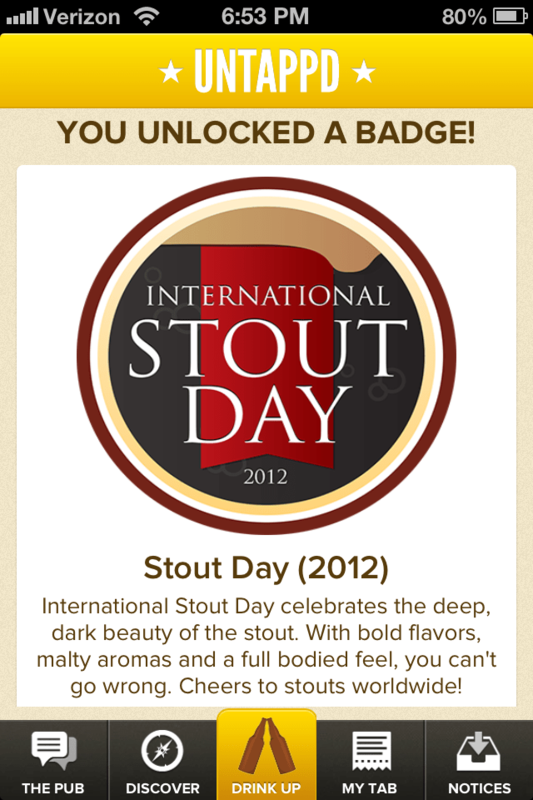 It’s Thursday, November 8th, but it’s not just any old Thursday, It’s International Stout Day and I had no clue. I’m not entirely sure how it happened, I must have missed all the early warning, so when I started seeing the Tweets and Untappd check-ins I realized quickly I was missing out. I had to remedy the situation, so as soon as I got out of work I headed over to Burby and Bates in Orono and picked up a couple stouts. 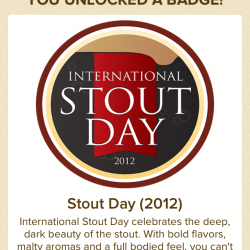 Enjoy the review and I hope Stout day didn’t pass you by like it almost did for me. 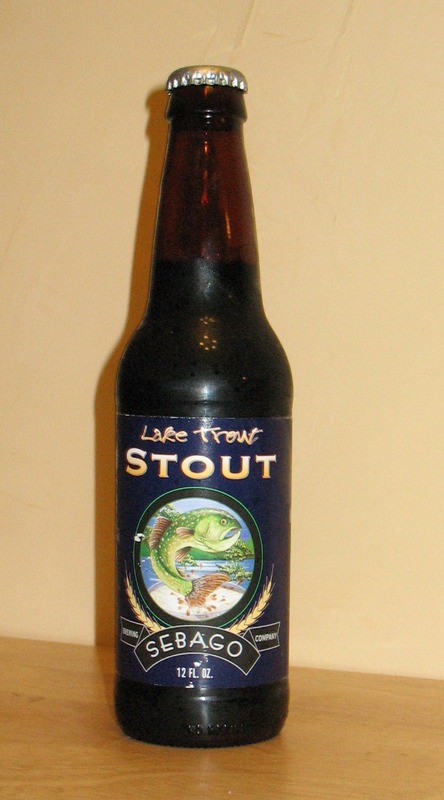 Lake Trout is a very dark brown color, not quite black but close. When held up to the light none shows through. The pour raised a thick milk chocolate colored head that slowly fell leaving some thin lacing down the glass. Smells of roasted malts and caramelized sugars, there is a slight coffee smell and definitely some dark chocolate. Tastes very roasty, lots of dark malts and just a hint of smoke. There is a really nice coffee flavor up front that plays well with the bitter dark chocolate flavors at the end of the taste. I’m also picking up some faint vanilla notes. This beer is medium bodied, not overly carbonated and has a creamy mouthfeel. Overall a really nice stout, I enjoyed the coffee and dark chocolate flavors and the slightly bitter aftertaste that lingered after each sip. Weighing in at 4.7% Lake Trout is a beer I could easily enjoy a couple of. I would recommend this beer to any fan of stouts and I would also recommend keeping an eye on your local bottle shop for the Bourbon Barrel aged version of this beer, it’s really nice, if I find a bottle I’ll be sure to review it.